Lahore University of Management Sciences may be known best for its business and law degrees, but you might be surprised to know that it also has one of the best schools for engineering in Pakistan. The Syed Babar Ali School of Science and Engineering (SBASSE) is one of the best engineering schools in the country. The university is at par with international standards and it has a campus to back that notion. LUMS has perhaps the best infrastructure in all universities of Pakistan. The QS World University Rankings 2014 ranked LUMS as the second-best university in Pakistan. The only caveat of studying in LUMS is their expensive tuition fee, but in the words of their very own professor, “Nobody who gets admitted to LUMS is turned back due to financial basis”. The university prides in the fact that 40% of its’ student body is on financial assistance from the university. There is also an abundance of extra-curricular activities including several big events, such as LUMUN, CARMA, and YLES. Teams of colleges and universities from all over Pakistan go there annually to compete for awards. They have world-class labs and some of the best lecturers in Pakistan. Just in the past few years, numerous technology startups have been put into action by alumni of LUMS and LUMS remains one of the best places to study technology. As for the pro-engineering courses, they offer programs in Biology, Chemistry, Computer Science, Electrical Engineering, Mathematics and Physics; and graduate programs in Computer Science and Mathematics. Since 2014, the university has made it compulsory to give SAT-1 in order to apply. For engineering, you also have to give their own SBASSE test, which is conducted in March in major cities of Pakistan. 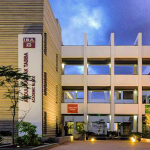 Tuition at LUMS – for all programs except MBA and EMBA – is based on the number of credit hours taken. The per-credit-hour cost for undergraduate programs is Rs.22,700 and Rs.21,100 for graduate students respectively. Note: The listed fees here is only for the tuition and is excluding all the other hostel/admission charges. The full fee structure can be found over here.